I have a new O-320-D1A hanging on my plane and I'm at the point where I need to convert it to a fixed pitch prop. I am told that it does not come cofigured for either FP or CS, that you must make the appropriate conversion yourself. I have the directions from Lycoming but I thought I would ask this group for any advice, pitfalls, etc. about doing that conversion. I am hoping this is all straight forward but I'm nervous about how to even get the front plug out and start the process! Thanks for any advice you may have. 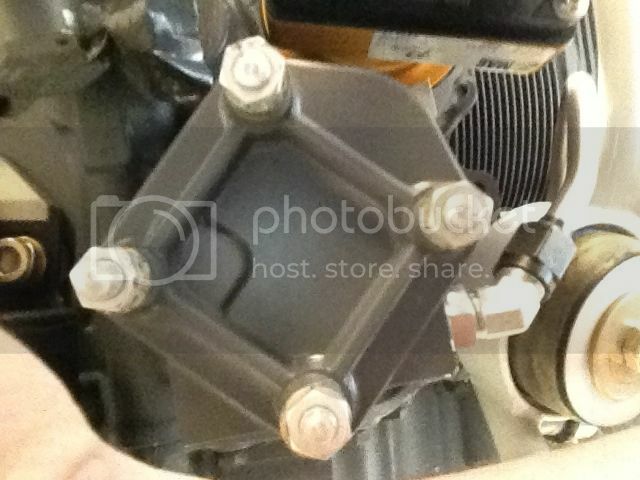 Are you planning on leaving the prop governor drive and plumbing installed on the engine? There is a much easier way to do the conversion, that what Lycoming tells you, if you are. You can simply install a governor drive pad cover plate that has a galley machined in it to vent the oil from the nose of the crankshaft back to the crankcase through the prop plumbing and governor drive pad. No plugs to pierce or remove and reinstall this way and the conversion back to CS is easy as all that is necessary is to remove the cover plate. If you are going to remove the governor drive and plumbing then you have to remove the front crankshaft plug, pierce the rear one, and install a new front plug. The problem with that approach is that you must remove and install a new rear plug if you ever want to go CS. It is doable without taking the engine apart but it is a real PIA. "The opinions and information provided in this and all of my posts are hopefully helpful to you. Please use the information provided responsibly and at your own risk." I just did this last month with my new engine from Vans (drop shipped from Lycoming). I called Vans to see if I really needed to removed the front plug, pierce the inner one and replace the front plug with a new one since the governor drive pad cover and plumbing were in place. The folks at Vans said I would need to remove the front plug, pierce or remove the inner plug and replace the front plug with a new one. I called Lycoming and after they looked up my engine info, they told me the same thing that Vans said. 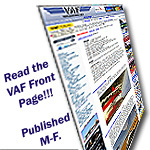 I had been told by a few folks that I believe know what they are talking about that it would be okay if I just left all as it was, but I chose to do what Vans and Lycoming said I needed to do. So, I pierced the front plug with a screwdriver and popped it out. I decided to remove the inner plug altogether since it is just baggage at this point. I pierced the inner plug and could not get it to budge, so a fellow builder lent me his slide hammer with a big screw mounted on the end. I threaded that into one of the holes I had pierced in the inner plug and with a few minor taps with the slider hammer, the plug came loose easily. It took some finagling to get the plug out past the cross tube. To install the new front plug, I went with Lycoming's suggestion to use a ball peen hammer as the install interface (they also will rent you a proper tool). I set the plug into the crank. It is shaped like a giant steel contact lens. The convex profile to the forward. A few taps with an 8# hammer, the plug dimpled and set in. We shall see if it leaks pretty soon! I hope to have first engine start within an week or two. Made me really nervous to be operating on a brand new engine! I would be less comfortable if I ignored both Vans' and Lycoming's advice though. I suggest calling them both to see what they say. After bargaining with them, I could not get them to budge on their stances. Do what Mahlon suggests, much easier and less risk that punching things out. Also allows easy re-conversion to CS in the future if required. 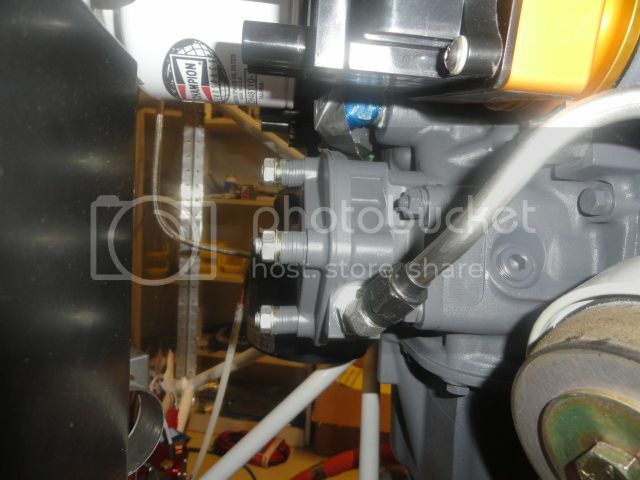 The engine came plumbed with the line from the front of the case to the back as you see in the photo. So there is a different cover plate for the governor than the one that came with the engine? If so, do you know what the part number is to do the conversion you mentioned? Take a picture of the installed prop gov cover plate, from the rear, and I can tell if it needs to be replaced or not to be used for FP and will advise. The raised portion on the lower left corner of the plate indicates you have a machined slot on the other side of the plate. And that slot is what is allowing any oil pressure from the nose area of the crankshaft to be vented back though the prop governor plumbing, to the drive pad and then to the crankcase through that slot in the cover plate. So no oil pressure can build up in the nose of the crankshaft and blow the front plug out of the shaft because that plate, slot and the plumbing takes the place of a hole in the rear crankshaft plug and allows any oil pressure to be vented. So you should be all set, as is, for FP operation. There are many cover plates, out there, that don’t have the slot and there are also some out there that do. The key to success is to have one that has the slot.